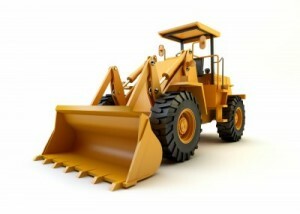 Leasing Heavy Equipment is the Cost Effective way to “Move Mountains”. Avon Leasing is a recognized leader in heavy equipment leasing. Our professional, knowledgeable staff provides customer service that sets the industry standard. Our programs are designed to be flexible, accessible and ideal for your business – whether it’s long established or just getting started. One more thing to remember…when you finance your heavy equipment purchase with a bank loan, you own the equipment for good. When it becomes obsolete or difficult to liquidate, you still own it. Not so with heavy equipment leasing from Avon Leasing. When your lease term ends you may purchase your equipment or turn it in and upgrade to the latest models. You’re never stuck with equipment you can’t get rid of. How Can Avon Leasing Help You Succeed? For unparalleled service, access to the top names in heavy equipment, and flexible programs to fit almost any type of business, call Avon Leasing at (863) 682-0191.